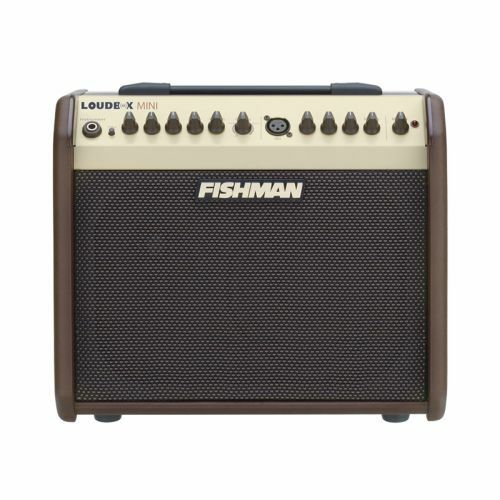 Fishman's lightest and most portable amp yet, the Loudbox Mini delivers the tonal quality that has made the Fishman name the standard for great acoustic sound. The Loudbox Mini packs 60 watts of clean acoustic power, and has two channels featuring Fishman’s legendary preamp and tone control designs. The amp also features digital reverb and chorus for the instrument channel and reverb for the microphone channel. The Loudbox Mini sports an MP3 input and balanced XLR D.I. output, a must for jamming along and capturing your performances.